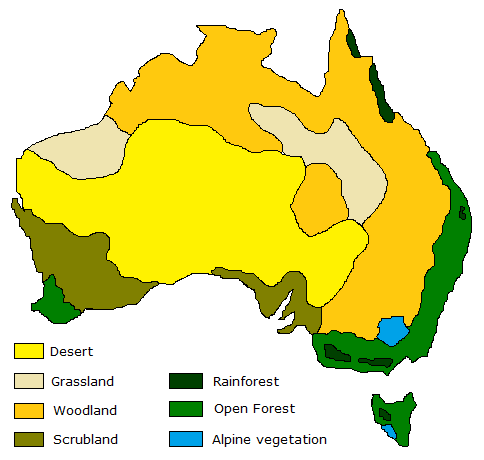 Below is some information on geography of Australia. Australia is the world's smallest continent, and NOT the world's largest island as some people say. 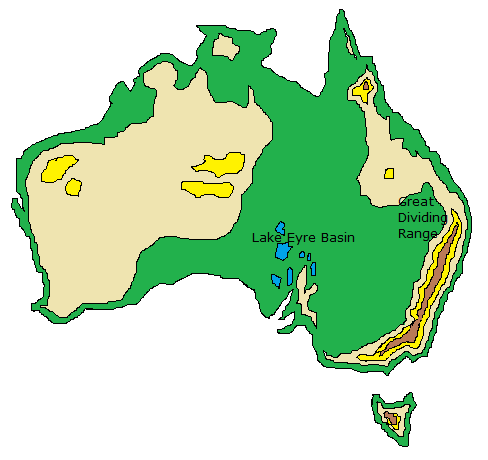 The reason for this is that a continent is a landmass that has continental climate, and Australia has got it. New Zealand hasn't, so it is an island nation. Greenland hasn't got it, and it is the world's largest island. Australia is the only continent that is covered by one country. It is as large as the whole Europe, and the whole US. The country is divided into eight states, all with their own state capitals and state governments. The capital of Australia is Canberra, which is in the smallest state - Australian Capital Territory, also called ACT. 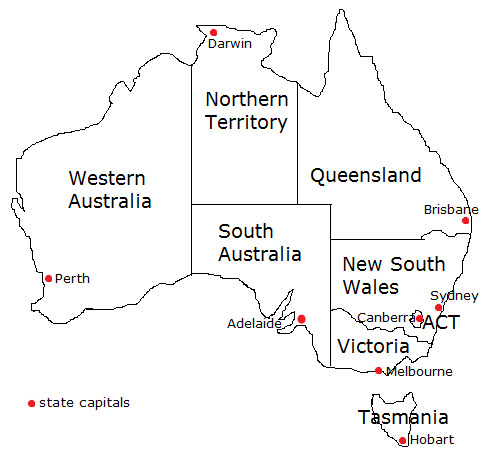 The rest of the Australian states are Queensland, New South Wales, Victoria, Tasmania, South Australia, Western Australia and Northern Territory. 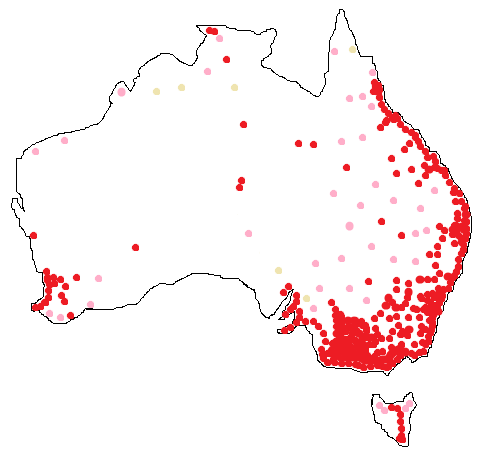 By far the most of the people live in the south-eastern corner of Australia. The second most inhabited area is the eastern coast of the continent, and the third is the area around Perth in south-western Western Australia. The rest of this huge continent is very scarcely inhabited, and large desert areas are totally uninhabited. Compared to Europe and the US, we have a lot more space in Australia! Another thing you notice is that the general thought that southern Australia is the coldest and northern Australia is the hottest part of the continent, is not entirely true. It is really the north-west that is the hottest and the south-east that is the coldest. One factor behind that is the Great Dividing Range, Australia's youngest and highest mountain range, that runs along the whole eastern coast of Australia, right up to the Cape York peninsula. Air is cooler higher up, so mountain ranges keep the local climate cooler. (another factor is that southeast is actually further south than southwest - a fact that is easy to miss). Climate, topography and other factors affect the vegetation. Mountain ranges don't only affect the temperature but also humidity. The eastern coast of Australia is much more humid than the west, and Australia's only real rainforests grow in the east, along the Great Dividing Range. The altitudes have caused the Alpine vegetation in the south east, and open forests grow where the climate is humid enough. Woodlands, scrublands and grasslands grow in drier areas, and the driest areas are covered by deserts. 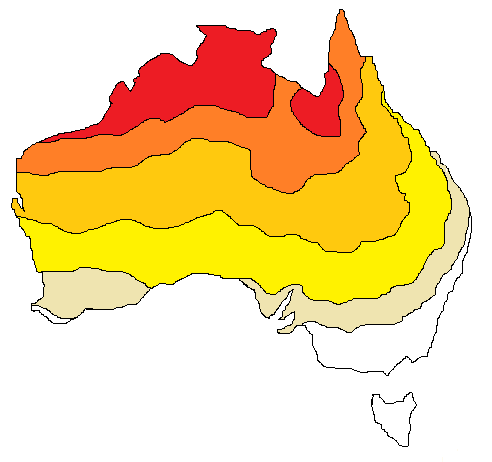 Climate, vegetation and other factors make Australia suffer from quite frequent natural hazards. Over the years, we have had a lot of drought and the dry years in combination with our flammable eucalypt forests create perfect conditions for bushfires, that tend to get worse in the south. Northern Australia on the other hand is threatened by tropical cyclones during the Wet Season, and they cause a fair bit of devastation too. We also have a lot of floods and these happen in the eastern third of the country, while the west is 'as dry as a desert'.